sjhoward.co.uk » Photo-a-day 365: The map’s wrong! Photo-a-day 365: The map’s wrong! Published on 31 December 2012. 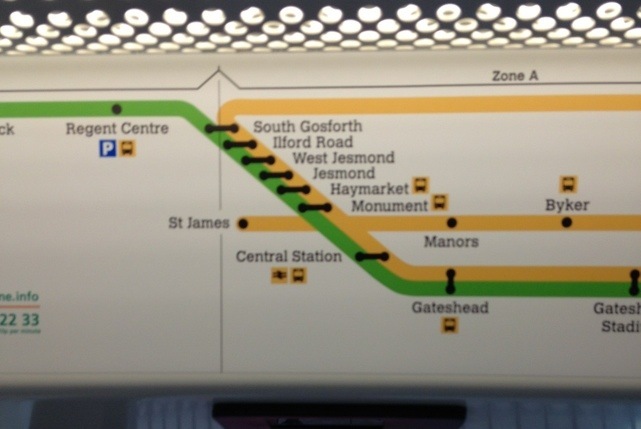 I’ve just noticed today that on the refurbished Tyne and Wear Metros, the map is wrong… it fails to show the stop at Monument between Manors and St James. Oops! I’ve only one more photo left in this series of 366… I’ll have to find something especially worthy to top it off! This 1,951st post was filed under: Photo-a-day 2012, Metro.